3.7 grams of Arginine per 30 mL serving. 21 grams of protein per 30 mL serving. Compare to Pro-Stat Sugar Free AWC and ProSource ZAC™. AllegroMedical.com presents The Active Critical Care Liquid Protein Nutritional Supplement. 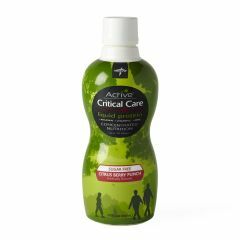 Wound care nutrition. 3.7 grams of Arginine per 30 mL serving. 21 grams of protein per 30 mL serving. Lactose and gluten-free. Citrus Berry Punch flavor. Compare to Pro-Stat Sugar Free AWC and ProSource ZAC™.